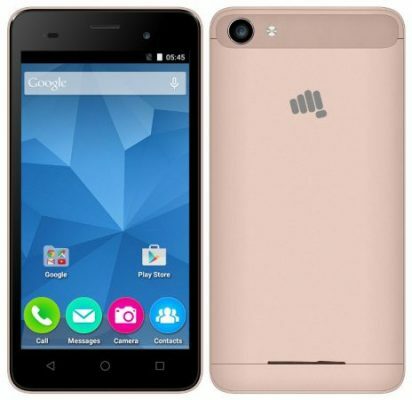 Micromax introduced its Canvas Spark range last year and has launched a handful of budget devices in the new series. The brand first launched the Canvas Spark and Canvas Spark 2, of which, the domestic vendor claims to have sold more than one million smartphone units in less than six months after their launch. The brand recently launched the Canvas Spark 2 Plus and the Canvas Spark 3 smartphones in the same range. Similar to the previous Canvas Spark range devices, the Canvas Spark 2 Plus and Canvas Spark 3 also aim to deliver a decent entry-level smartphone experience in budget prices. The Micromax Canvas Spark 2 Plus and Canvas Spark 3 are decent options for those looking to buy their first smartphone or a backup device. If you are finding it hard to choose the one among these, then let’s put the Canvas Spark 2 Plus and Canvas Spark 3 on the table for a specs comparison. The Micromax Canvas Spark 2 Plus is one of the best looking devices in its price range, even though it sports a plastic body. The phone offers a tad thick 9.8mm plastic frame, and weighs 176 grams. The handset gets capacitive buttons below the display for navigation. Speed Test – OnePlus 3(6GB RAM) vs Micromax (1GB RAM) Performance Difference. How much RAM We need ? The Micromax Canvas Spark 3 on the other hand is a much better looking smartphone than the Canvas Spark 2 Plus. The handset sports a lightweight build and sleek frame, and gets a curved rear panel with matte finish, which makes it easier to hold in one hand since it’s a phablet. In addition, the device also gets 1.5CC Box 2509 speakers at the back for immersive media experience than the Canvas Spark 2 Plus. 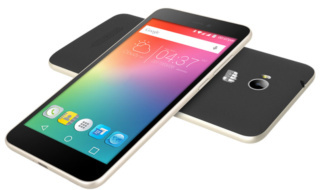 The Micromax Canvas Spark 2 Plus is for those looking for a large device, but don’t want to go for a 5.5-inch handset. It’s for those want a large-screen experience in a small form factor. The device comes with a 5-inch qHD display with a pixel density of 196 pixels per inch to deliver a decent media viewing experience. 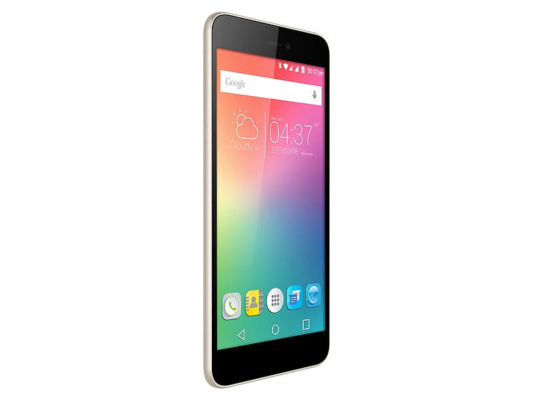 The Micromax Canvas Spark 3 on the other hand is a full-fledged phablet-grade offering with a 5.5-inch display bearing a resolution of 1,280 x 720 pixels and pixel density of 267ppi. It is one of the cheapest smartphones to offer an HD display and Corning Gorilla Glass 3 protection in its range. As for the OS, the Micromax Canvas Spark 3 runs Android 5.1 Lollipop, while the Canvas Spark 2 Plus is the company’s first smartphone to run Android 6.0 Marshmallow. So in the display department, the Canvas Spark 3 is a rocker, but in terms of software experience, the Canvas Spark 2 Plus is better. The Micromax Canvas Spark 2 Plus and Canvas Spark 3, both utilise 1.3GHz quad-core MediaTek processors, further supported by Mali 400 graphics processors and 1GB of RAM. For storage, the handsets are equipped with 8GB of internal memory, further expandable up to 32GB. So when it comes to the configuration, the Canvas Spark 2 Plus and Spark 3 offer similar experience, and should deliver lag-free casual gaming experience. As for the camera specs, the Micromax Canvas Spark 2 Plus offers mediocre imaging experience. It offers a 5-meg fixed-focus primary snapper with an LED flash, and a 2-meg selfie camera on the front. The Micromax Canvas Spark 3 on the other hand delivers better camera experience as it offers an 8-megapixel primary snapper with a CMOS sensor, an LED flash and autofocus, and a 5-megapixel secondary shooter. The Canvas Spark 3 offers much better camera features than the other devices in its price segment. In terms of connectivity, the Micromax Canvas Spark 2 Plus and Canvas Spark 3 offer similar features including dual-SIM slots, 3G, Wi-Fi, Bluetooth and GPS. Both the smartphone lack the latest 4G LTE connectivity option. As for the battery, the Canvas Spark 2 Plus is fuelled by a 2,000mAh battery, while the Canvas Spark 3 gets a bigger 2,500mAh battery. The Micromax Canvas Spark 2 Plus and Canvas Spark 3 are among the best entry-level smartphones from Micromax. The Canvas Spark 2 Plus is among the most affordable Android Marshmallow-powered smartphones in the country, which comes with a compact, yet large display, a decent configuration, decent internal storage, and an ample battery. The Micromax Canvas Spark 3 on the other hand will impress those looking for a phablet-grade HD media viewing experience in the budget prices. The handset comes with good camera specs for its price range, a decent battery, a large display and decent configuration. The Canvas Spark 2 Plus has been priced at Rs 3,999, while the Canvas Spark 3 will set you back by Rs 4,999. 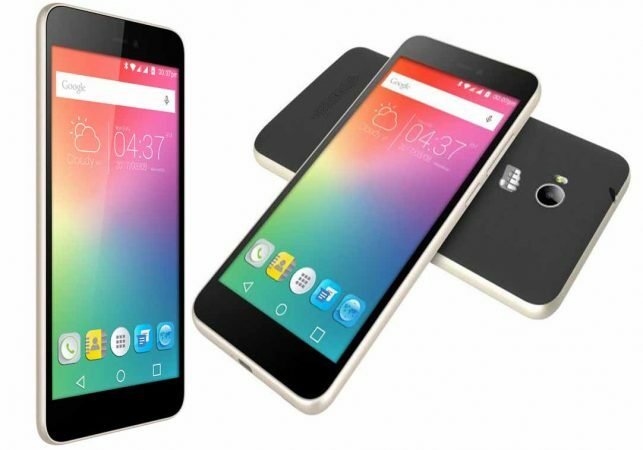 You can check out the best deals on these devices on 91mobiles. So, which one is your pick? Share in the comments below.